When you get behind the wheel of a car, what is the most important thing? Of course, the car needs to start, but after that, you need to be able to see out of your windshield. You wouldn’t drive with your eyes closed, and you shouldn’t drive with subpar windshield wipers either. Your windshield wipers are the only things giving you high visibility during rainfalls and snowstorms, so it is important that you value them as such. How do I know when I need new ones? Most of the time, it is pretty obvious when you need new windshield wipers: They will leave streaks on your window or make ridiculous noises while they are trying to work. The unfortunate thing is that you oftentimes do not realize you need new windshield wipers until you are in the middle of a storm. That is why you need to be proactive. According to Yahoo, you should replace your windshield wipers every 6-12 months. What if I live somewhere that has very little precipitation? 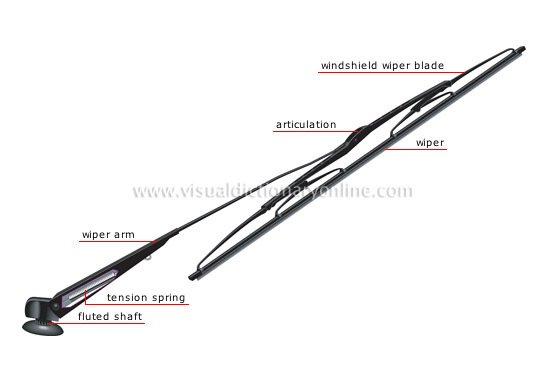 It doesn’t matter how much you use your windshield wipers, they still deteriorate simply by being on your windshield. Even in the State of California, the environment can be brutal. Everything from the scorching hot sun to the thick ice to the ozone can destroy your wiper blades. You never know when that brutal storm is going to hit and you always want to be prepared. Before you replace the blade, you will want to inspect it. If the blade is relatively new, its poor performance may be related to residue. A simple cleaning (with rubbing alcohol) will make them work like new (make sure the window is clean too). You will also want to check the wiper arm. Even if you buy a shiny new blade, it will still not work correctly if the arm is damaged. The spring needs to be tight so that the blade stays right up against the window. If you can easily pull it away from your windshield, it is probably time to replace the entire wiper contraption. Can I buy any kind? That depends on whom you ask and where you drive. Some people think that you get what you pay for, so you should always opt for high-end brands like Armor and Tripledge. Others swear that their bargain brands work just as well. One thing to keep in mind is that if you live in extreme weather conditions, you will want to get specific wipers for your situation. Whatever wipers you get, make sure to test them with your washer fluid once they are installed to make sure they work properly. You can’t stay safe and drive defensively with no visibility.